Munstead Lavender - Popular and fragrant variety of english lavender. 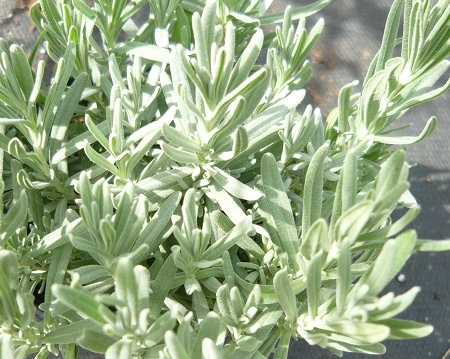 Silver-green foliage has a sweet lavender scent. This variety blooms early with beautiful purple-blue flowers. Height to 18". Perennial zones 4-9. Live starter plant in 3 inch container. I received this and within a few days of repotting, per their instructions, I already have new growth! I'm very happy with this lavender! The scent is delightful!